Asus may have quietly withdrawn from the smartwatch game after the ZenWatch 3, but the company is back with a fresh wearable that promises to bring medical-grade blood pressure monitoring to the wrist. Unveiled at Computex in Tapei, the VivoWatch BP is neither a fitness tracker or smartwatch, the company claims, instead choosing to prioritise health tracking. Using a combination of both ECG and light-based PPG heart monitoring traditionally found in wearables, the device will offer users blood pressure measurements in real time. With this data passing through the company's HealthAI algorithm, health advice is also provided alongside consistent readings. We don't know yet the full extent of the feedback from Asus, though the likes of a recommended step count will be involved. The focus of the device isn't solely blood pressure readings, either, with your heart rate, sleep quality, de-stress index and activity data all tracked around the clock. And while this doesn't appear to be a device that will aim to replace any dedicated fitness trackers, it can automatically distinguish normal activity from exercise to enable more accurate tracking. Naturally, the design sits in contrast to its rivals, with almost all blood pressure monitors comprising of an inflatable cuff, as opposed to this watch-like form. However, Asus says that shifting away from this means the VivoWatch BP is 70% smaller and 50% lighter than its competition. 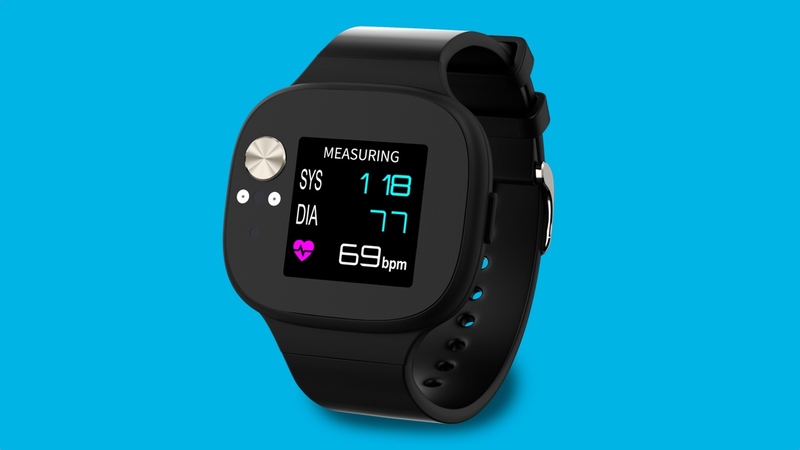 Well, that's the case for now, at least, with blood pressure giant Omron readying its own smartwatch-style monitor, the Omron HeartGuide, for release later this year - providing it receives FDA approval. And since this is a watch that Asus is touting heavily as a health tracker, and is aiming to emulate traditional cuff monitors, the VivoWatch BP is also waiting on this same FDA approval. As a result, we don't yet have a strong idea of when the device will be launching globally. The company says that it will be available in Asia in July, though the wait to see it approved could see it only hit the US and other territories late next year. If and when it does eventually land, it will also come with a 28-day battery life, and be priced at roughly $169.